Online Auction Begins on April 27th! 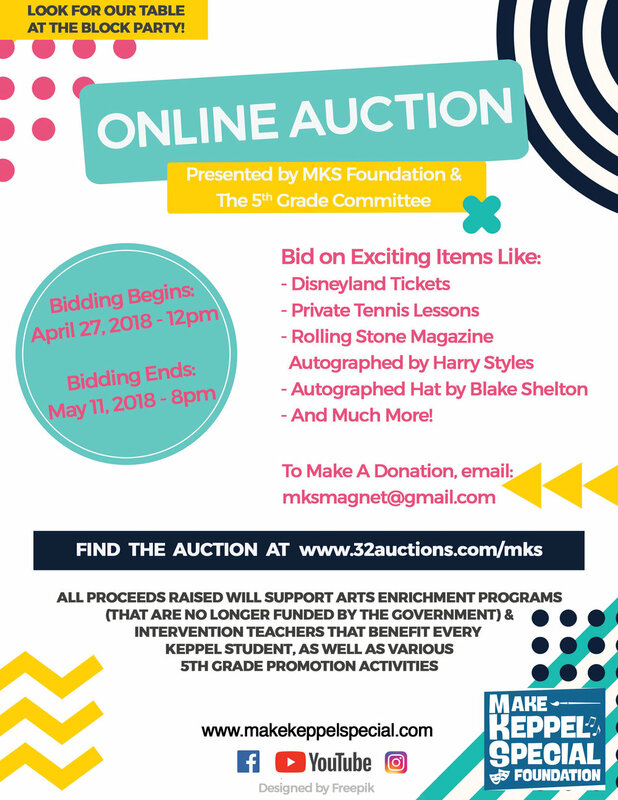 Currently, we are roughly $30,000 short of MKS’ annual goal, and in order to provide the great programs that Mark Keppel is accustomed to, MKS Foundation & The 5th Grade Committee will host an online auction starting April 27, 2018. The Auction will be held from April 27 - May 11, 2018 and includes great items such as: Private Tennis Lessons, Being Principal For The Day and Autographed items by Harry Styles and Blake Shelton! If you have any items to donate, please let us know! MKS is a non-profit organization and your donations are tax-deductible.